On Monday, the US and the European Union hailed Ukraine’s parliamentary elections, held Sunday, as a “victory” for democracy. Spokesmen for Washington and the European powers ignored the bloody assault being carried out by the Kiev regime against pro-Russian cities and towns in eastern Ukraine and the atmosphere of intimidation and repression against critics of the government and its fascist allies in the rest of the country. Voter turnout is estimated at approximately 52 percent, significantly lower than the 58 percent turnout in 2012 and below the 60 percent who cast ballots in this year’s presidential election. With 125 seats, the Petro Poroshenko Bloc, headed by Vitali Klitschko, leader of the right-wing nationalist UDAR Party and current mayor of Kiev, will comprise the largest bloc of delegates in the parliament (Rada). Current Prime Minster Arseniy Yatsenyuk’s People’s Front will hold the second largest bloc, with 82 seats. 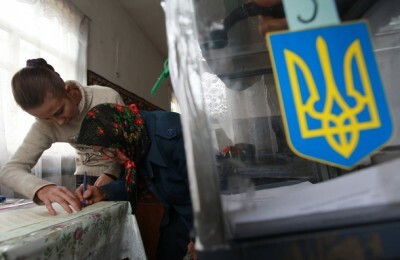 The Ukrainian Central Election Commission did not attempt to organize voting in areas currently under the control of pro-Russian separatists or in Crimea, which was annexed by Russia in March. As a result, 27 seats out of the 450 seats in the Rada will remain unfilled. The Petro Poroshenko Bloc, named after the billionaire oligarch and current president of Ukraine, has initiated talks with the People’s Front on the formation of a coalition government. If the two blocs reach an agreement, they will still have to secure the cooperation of at least one of the other parties in the Rada to obtain a parliamentary majority. The elections came eight months after a right-wing coup, led by fascist forces from the Right Sector and the Svoboda Party and backed by the United States and Germany, ousted the democratically elected president, Victor Yanukovych. Washington and Berlin orchestrated the coup after Yanukovych decided against signing an Association Agreement with the European Union, tied to an International Monetary Fund economic plan featuring harsh austerity measures and pro-market “reforms,” and instead opted to maintain his orientation to Russia. Sunday’s parliamentary vote took place in the midst of an ongoing attack by government forces and allied neo-Nazi militias on pro-Russian separatists in the east who are opposed to the coup. The months-long government offensive has resulted to date in the displacement of more than one million people and approximately 3,700 deaths. US Ambassador to Ukraine Geoffrey Pyatt praised the elections as “yet another step in Ukraine’s democratic journey.” Coming from Pyatt, such phrases are particularly disgusting. The US ambassador played a key role, along with US Assistant Secretary of State Victoria Nuland, in overseeing the putsch that ousted Yanukovych and installed the current puppet regime. Two weeks before the February 22 coup that overthrew Yanukovych, a leaked conversation between the two discussing which of the US-backed opposition leaders should be installed in power hit the Internet. Their choice, Arseniy Yatsenyuk, emerged two weeks later as the new head of government. The statements by US and EU officials are completely hypocritical and dishonest. A report published last week by the New York-based rights organization Human Rights Watch documented the use of banned cluster munitions by the Ukraine government against civilian populations in the east. The same regime that Human Rights Watch only last week declared to be guilty of war crimes against its own people is being hailed by Washington and the EU as a model of democracy. Ukraine remains dominated by corrupt multi-millionaire and billionaire oligarchs, including Poroshenko himself. The new government is the product of a regime-change operation carried out by Washington and Berlin for two purposes: first, to provoke a crisis with Russia and create a pretext for sending NATO and US military forces into Ukraine and eastern Europe, transforming these regions into a staging ground for economic, diplomatic and ultimately military attacks to reduce Russia to a semi-colonial status; and, second, to impose a government that will carry through brutal attacks on the Ukrainian working class while removing all restrictions on imperialist exploitation of the country’s resources. Sunday’s elections are meant to provide a pseudo-democratic fig leaf for an intensification of these reactionary policies. Meanwhile, fascist brigades backed by the Kiev regime, such as the Azov Battalion, continue to operate in the Donbass region, terrorizing and killing Russian-speaking opponents of the government. Obama’s talk of supporting “the choices of the Ukrainian people” is particularly repugnant. Poroshenko and company are completely reliant on the sponsorship of the US government and obey its commands. CIA agents along with US Special Forces are in Kiev directing the assault on eastern Ukraine. Mercenaries from the US firm Academi, formerly known as Blackwater, are on the ground in the east, participating in war crimes there. Pro-Russian parties have been marginalized in the Rada. Ousted President Yanukovych’s Party of Regions has been effectively dissolved. Vitaly Zhuravsky, a former member of the Party of Regions, was assaulted outside Ukraine’s parliament in September by a mob that threw him in a dumpster and hit him with a tire. Members of the Communist Party of Ukraine (KPU) reported being assaulted and intimidated by football hooligans and masked men dressed in military fatigues as they attempted to campaign in eastern Ukraine. Poroshenko signed a law October 9 expelling members of the Party of Regions and KPU from positions in the bureaucracy and civil service. The Ukrainian government is preparing to officially outlaw the KPU. The predictable response of Washington and the EU to this travesty of democracy once again underscores the fraudulent character of the supposed pursuit of democracy and human rights by the imperialist powers in Ukraine and beyond. Autocratic and repressive governments that are allies of the US, such as Saudi Arabia and Egypt, are included in the so-called “democratic camp,” while regimes deemed to be impediments to US imperialism’s global ambitions, including Iran, Syria and Russia, are denounced for violations of democratic and human rights.